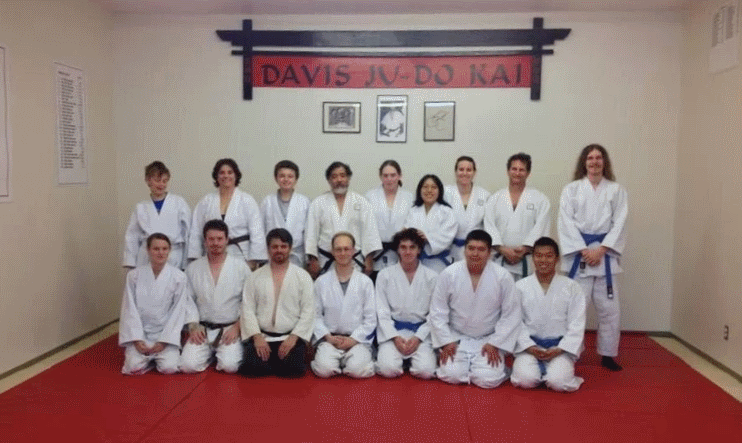 The Davis Ju-do Kai was founded in 1964 by our system's 10th Dan, Senior Professor Tom Ball. It has gone through a series of school heads and locations over the years since. In the spring of 2017, the Davis Ju-do Kai moved to its present location at 2880 5th St, Suite 100, inside of Davis Strength and Conditioning. Danzan Ryu Jujitsu was founded in the 1920s by Henry Seishiro Okazaki. He named his style of jujitsu Danzan Ryu, or Cedar Mountain Style, in reference to the Hawaiian Islands where it was developed. Master Okazaki combined techniques from a variety of martial arts to create this style of jujitsu. He named his school Kodenkan, or School of the Ancient Tradition, in reference to the practice of having more senior students teach more junior students. Danzan Ryu emphasizes skill and technique rather than strength and size, requiring self control, honesty and sincere concern for others. To provide a welcoming environment where anyone can come to be safe, have fun, and learn cool stuff. We are committed to the idea that everyone who comes in our doors is treated like Ohana, family. We also try our best to do Kokua, help given without any thought of return.